Julia Camara is a Brazilian writer/filmmaker. 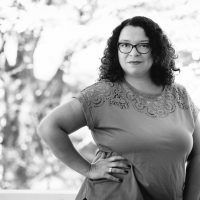 Born and raised in Sao Paulo, Brazil, she freelanced for years as a Portuguese translator for film and television subtitling. She has written and directed several award-winning short films. Her feature directorial debut "In Transit," an experimental drama shot mostly in one day and with improvised dialogue, won Best Experimental Film at three different festivals. Julia also wrote the sci-fi feature “Area Q” (starring Isaiah Washington), the road movie “Open Road” (starring Andy Garcia, Juliette Lewis and Camilla Belle), and the award winning sci-fi found footage feature “Occupants” (starring Star Trek: Voyager's Robert Picardo). “Occupants” has screened at over 100 festivals all over the world and has own over 90 awards including a Telly Award for writing. Directing Reel - Drama from julia camara on Vimeo. Unsolved Trailer B from julia camara on Vimeo. Super Morning from julia camara on Vimeo. In Transit Teaser Trailer from julia camara on Vimeo.